Despite the non-stop stream of shocking news from Ukraine, event app platform Attendify keeps on working. The company that offers event companies tools build their own event apps, has just announced a partnership with Eventbrite. According to Michael Balysny, the co-founder and CEO of Attendify, many event planners struggle to see a return on the investment for their apps or get attendees to use it. The partnership with Eventbrite is expected to increase app usage and make engagement much easier. 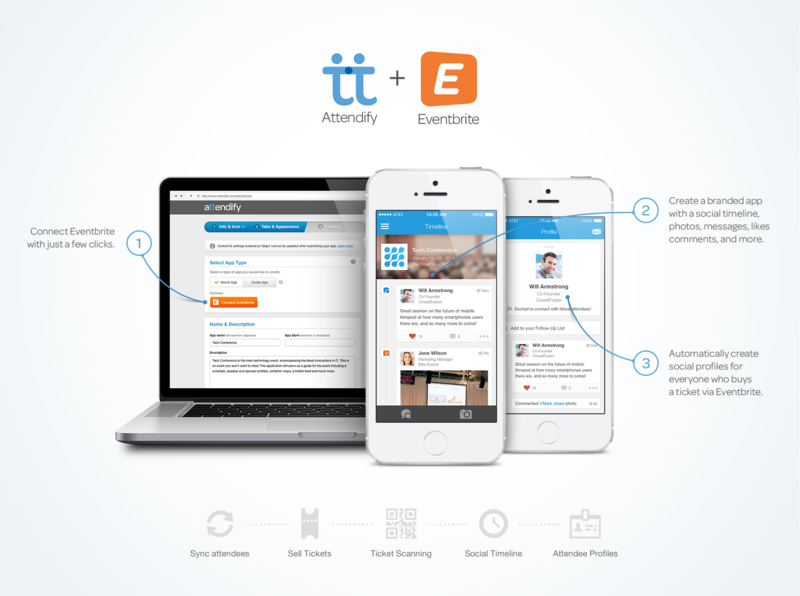 The partnership with Eventbrite means new functionality within Attendify platform that enables the event planners link with Eventbrite account. This means that event professionals can add a social timeline, photo sharing and messaging and sync with Eventbrite account. The app now also allows ticket scanning as a way to log in. The focus in the new apps built with Attendify is on the private social networking. Anyone who used Presdo will know the value of social networking at the event, and Attendify reports high engagement numbers within its new apps. The company also reports clients such as Google, Bloomberg, AOL, Cisco and others using its platform.